A sales management system, also referred to as sales management software or sales CRM, is a program that's ultimately designed to make the sales process simpler. Salespeople can use the system to manage contacts, track deals and clear tedious administration tasks off their desk so they can focus on driving sales. SCSPANACEA Retail is an easy-to-use application for retailing businesses to track sales, inventory and customer information. This gives you the power to make more informed decisions. SCSPANACEA Retail provides out-of-the-box Point of Sale software designed to work in a single independent store as well as chain of stores. HR professionals rely on technology to aid them in their quest to find their Clients the right candidate to fulfil any given requirement. "STARS" is a value-added system that helps vendor management organizations, human resource departments and recruiters to streamline their business process. Features: Integrate with any CRM system or software solution with SalesExec's API. Setup easy sales lead management for top sales agents. A sales reporting system can help a business By transforming monotonous numbers in wonderful ways and presenting them in the form of easy to understand reports. It should be a complete business intelligence system. Alexa softlabs sales reporting software caters to this requirement of every business. Search engine optimization & promotion services from can help your website in getting high search engine rankings over the search engines which will increase your online business. Google, MSN and Yahoo, the main search engines we cover on our search engine optimization Plan. We allow you to rapidly access the most current information with precisely the level of detail you need to make the right decisions at the right time. 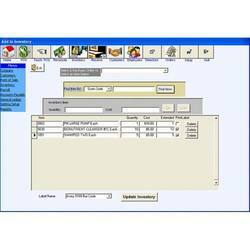 With the help of this Add-on you can instantly print raw material requirement list while entering sales order for a finished goods.